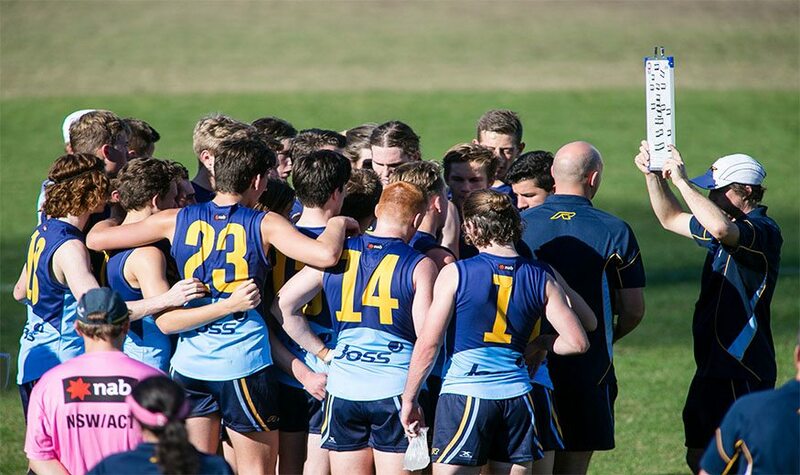 The 2018 AFL NSW/ACT Rams Under 16s state squad has been announced ahead of the NAB AFL Under 16s Championships beginning on June 11, 2018. The initial squad consists of 14 players from the Sydney Swans Academy and 11 from the GIANTS Academy, and will be reduced to 23 players for their opening round match against the Northern Territory in Blacktown on June 11 at 2.30pm. AFL NSW/ACT Under 16s Head Coach, Lloyd Perris believes the squad selected has what it takes to combat the other states and territories. “Heading into the camp, I’m really confident with the Rams squad we’ve selected,” says Perris. “We have plenty of skilful smalls combined with a few really exciting tall prospects. Perris praises the work of both the Sydney Swans and GIANTS Academies over the 2018 NAB AFL Academy Series, saying it has built a strong foundation for this state group. As with all AFL NSW/ACT state squads produced, the geographical distance between the players selected will once again be put to the test, unable to train together on a regular basis. This will look to be offset when the squad comes together for a training camp over the weekend of June 1-3. “The boys come from all over the state and we have one camp before Round One. It’s really important the players build relationships with each other and buy in to what the Rams are about.